Canary Beck aka Becky is excited to announce something that has been in the works for over 2 years. 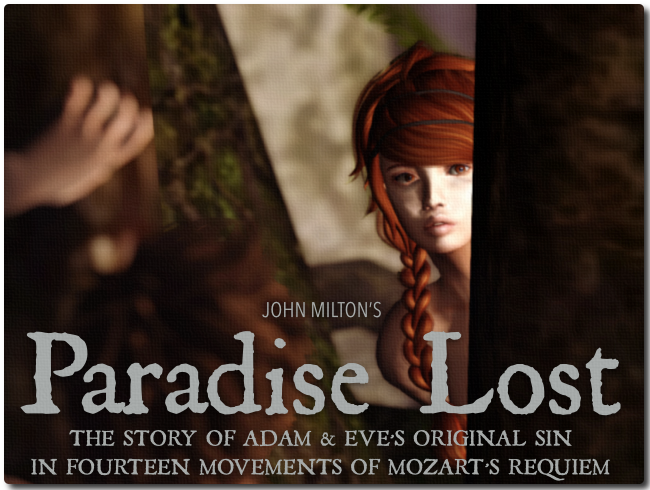 The Basilique Performing Arts Company has now completed their first full length movie: Paradise Lost. They filmed the feature-length movie in Second Life after the live production staged in 2014. The movie will be released exclusively to those who have signed up via the registration process. Sign up below and she will alert you to the release happening on September 19, 2015 at 12:00 Noon SLT. Only signed up registrants will be able to see the movie. To celebrate the premiere, Becky is holding a photo contest. She will be making the beautiful sets of Paradise Lost available for photography enthusiasts with an unbelievable L$20,000 in cash prizes up for grabs. Becky directed the movie with cinematographer Forren Ashford producing a creative beauty never seen in Second Life. They filmed everything at the Basilique Sim in Second Life. Eight players performed forty-three different roles with thirty residents playing heavenly angels and dastardly devils. She created this movie to not only to capture a stunning visual experience but also to reach a larger audience than the live production ever could. Everyone will be able to see the movie on canarybeck.com, after registering their valid email address with the website.